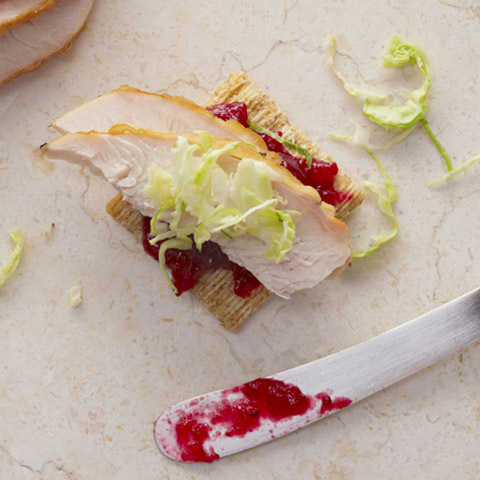 Cover rimmed baking sheet with foil; spray with cooking spray. Toss cauliflower with oil and dry seasonings; spread onto prepared baking sheet. Bake 15 to 20 min. or until cauliflower is crisp-tender and lightly browned. Spoon cauliflower into medium bowl. Add wing sauce; mix lightly. Return to baking sheet; bake additional 5 min. 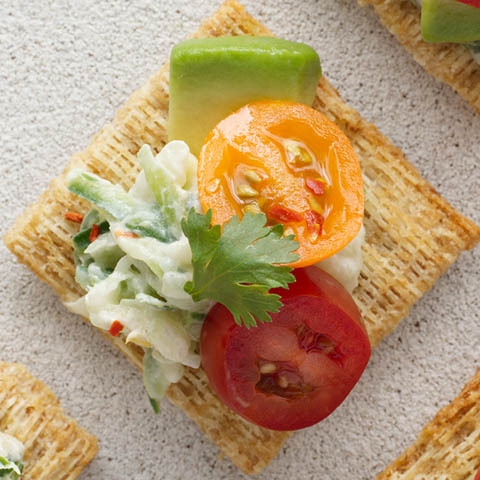 Spread crackers with dressing; top with cauliflower, cheese and celery. Special ExtraCut inner stalks of celery hearts to resemble tiny celery stalks, leaving some leaves attached to each stalk. 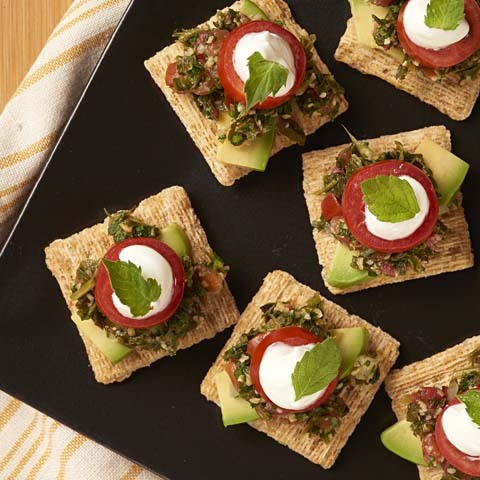 Use to garnish topped crackers. 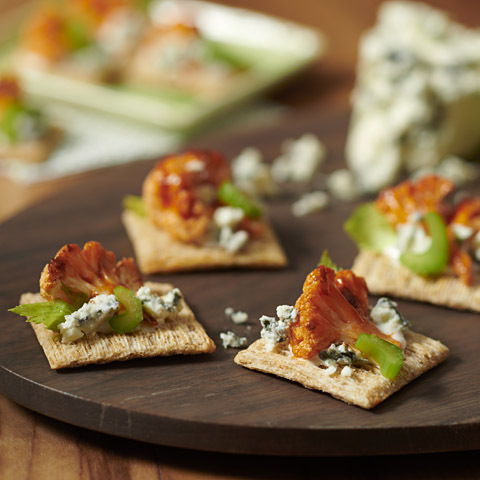 Make it Extra SpicyDrizzle topped crackers with additional Buffalo wing sauce or Sriracha sauce (hot chili sauce). 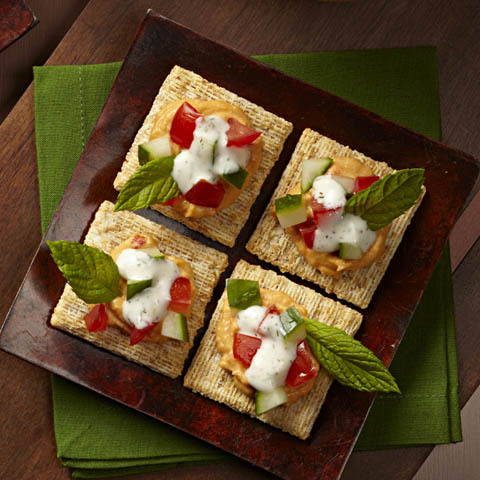 Enjoy the great taste of eating well with these crisp whole wheat crackers topped with the flavors of Buffalo wings.